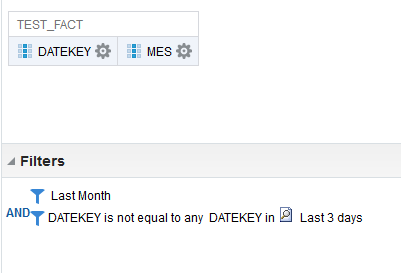 Customers often work with specific date ranges: "last 3 days", "last week", "this month", "last 7 working days"... 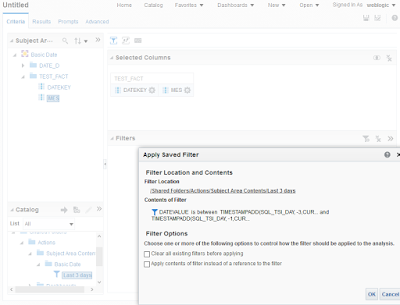 While it's easy to create a filter that does this and reuse it, they prefer an easier method. 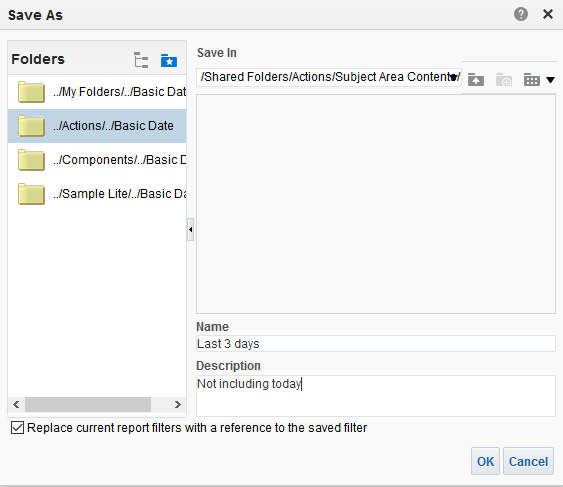 Adding those option in the tool by default is problematic, since users always invent new range needs. We need something the local IT can manage without too much work for each new idea. 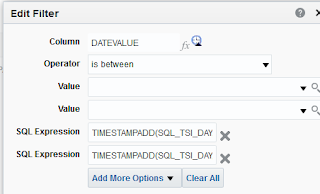 I covered how to do it with prompts in the post: "OBIEE Prompts - Last Year, Last Month and Custom Dates", but the request is to give easy access to date range selection in Answers (and VA) as well. Sorry, it's going to be a long post. 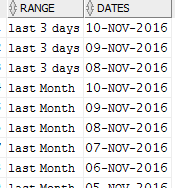 Adding date range columns to date table. Create a date_range table and joining it to date dimension. 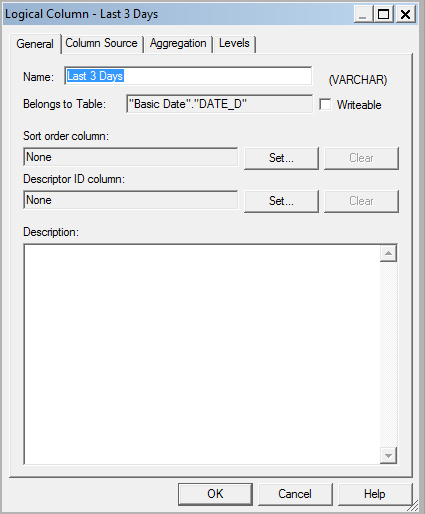 Having multiple data sources on the same physical table with various "where" conditions in the content as a date dimension and specific column. this year are all the dates from 1-Jan-2016 till 11-Nov-2016. 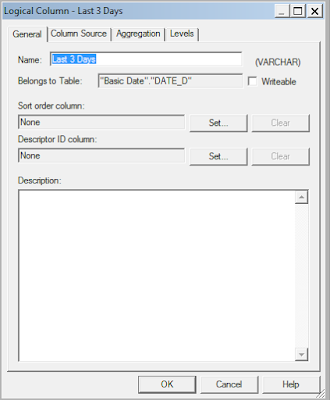 Requires RPD change for each additional date range. 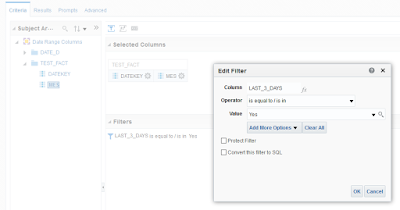 Supports easy reverse selection and combinations (such as: last month and not last 3 days). Works with VA as well or Answers only. 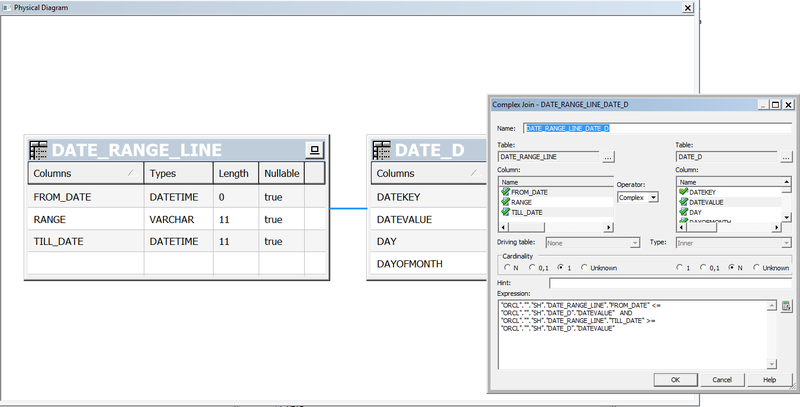 I use very simple model with measure value 1 in each day of fact. 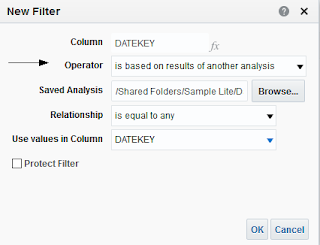 I can create a filter from within an analysis or from menu New / Filter. or save the entire analysis. The best option for IT and OK but not so great for Users. Ease of use for User is OK but not great. 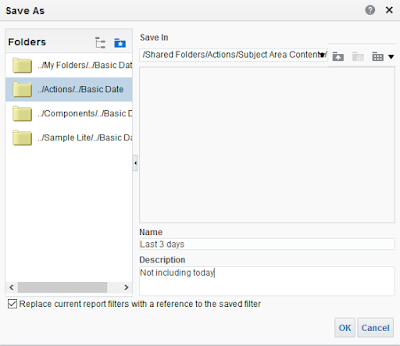 Requires RPD change for each additional date range? NO. 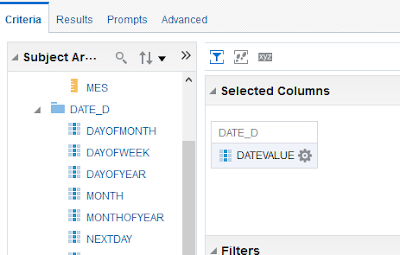 Supports easy reverse selection and combinations (such as: last month and not last 3 days)? Yes, with filter based on analysis only. 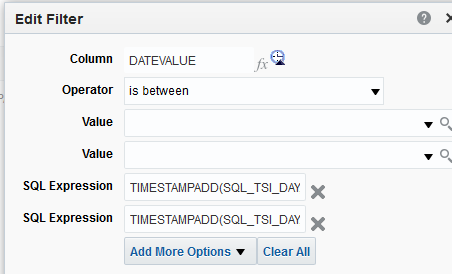 This option requires change in the dates table. 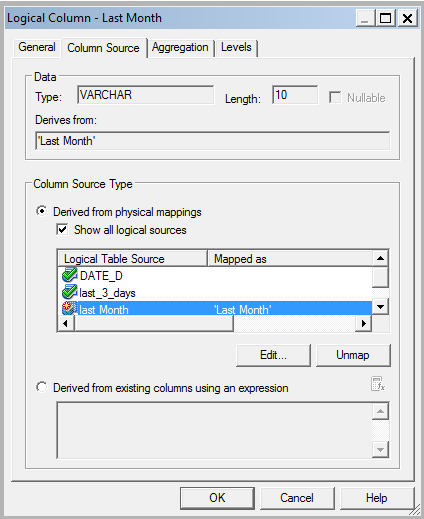 I'll add 3 columns (last_3_days, last_month, this_year). 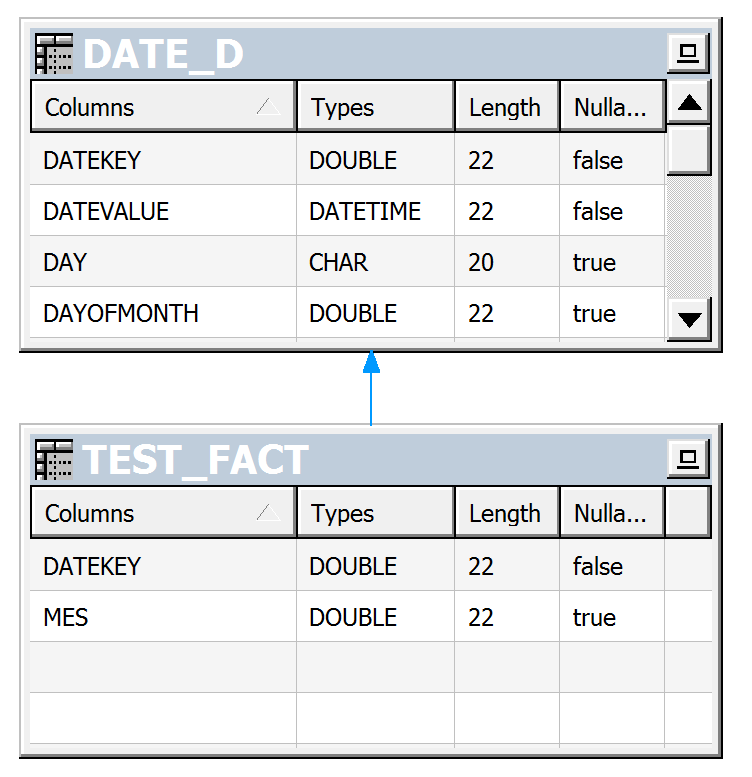 For each column I have to update daily the Boolean value (in my case Yes/No). The worst option for IT and great for Users. Ease of use for User? YES. 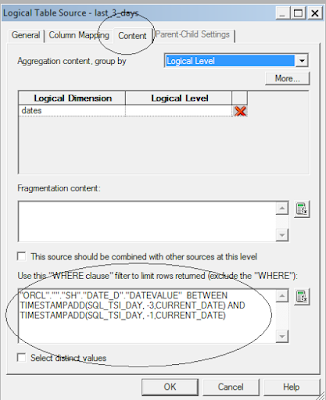 Requires RPD change for each additional date range? YES. 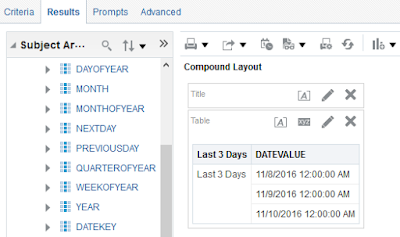 Supports easy reverse selection and combinations (such as: last month and not last 3 days)? YES. select 'This Year' as Range, TRUNC(TO_DATE(sysdate),'YEAR') as from_date, trunc(sysdate) as till_date from dualThis is easy to update for each change or new requirement, in the future. 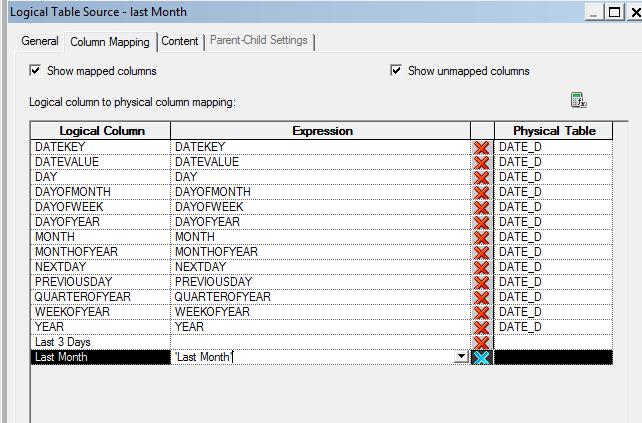 So I created it as a View, imported into repository and joined it to date table. 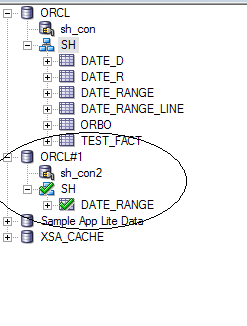 "ORCL".""."SH"."DATE_RANGE_LINE". 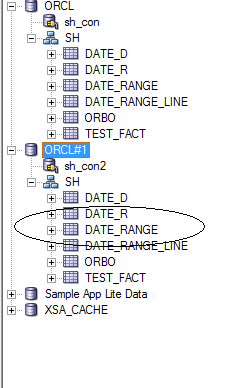 "FROM_DATE" <= "ORCL".""."SH"."DATE_D". "DATEVALUE" AND "ORCL".""."SH"."DATE_RANGE_LINE". 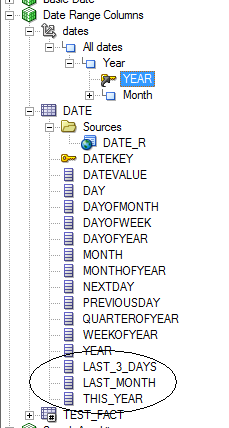 "TILL_DATE" >= "ORCL".""."SH"."DATE_D". "DATEVALUE"
(Actually it can be done using minus option that is under the union option in the criteria, but that's a bit advanced). As expected we have 3 tables joined instead of 2. 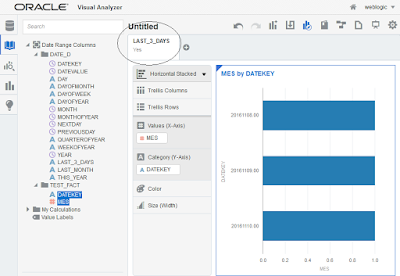 Good option for everyone, if you don't mind the performance problem and the wrong results of reverse or multiple range selection. Requires daily ETL? NO (for the view option). 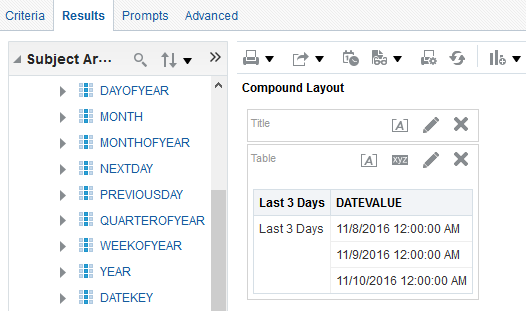 Supports easy reverse selection and combinations (such as: last month and not last 3 days)? NO. Has performance impact? YES.But can be solved with driving table as described bellow, in the update. 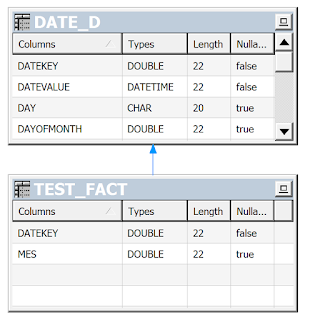 For this option I also considered creating a date_range table with a line for each date and range combination and joining it to date dimension as driving table. 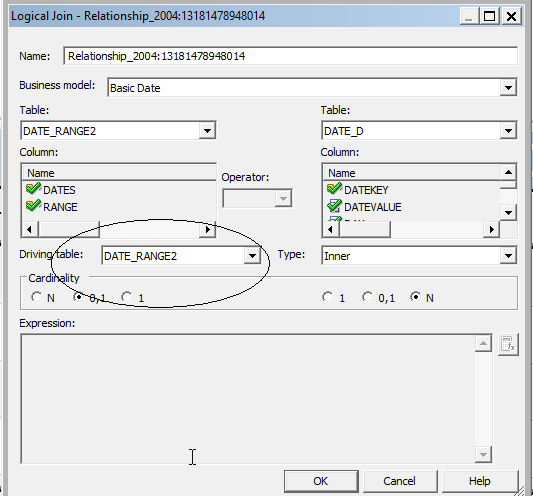 This way the join with date table is simple. 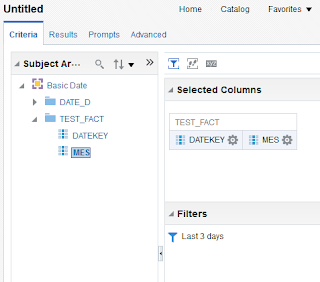 To solve the performance problem we can use a feature named "driving table" in OBIEE. The idea of driving table described here and here. 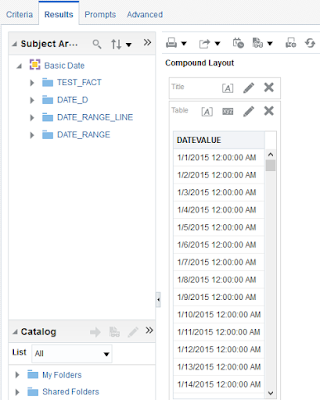 This way OBIEE runs a separate query for the date_range table and places the result into the date table filter. Since the date ranges are usually small (if you have a year, then you should change MAX_PARAMETERS_PER_DRIVE_JOIN parameter). Unfortunately since driving table makes it own optimization, it didn't act in my tests. 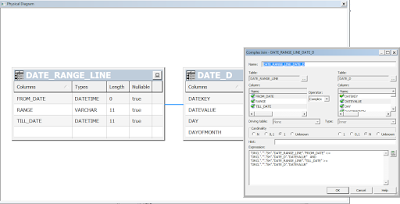 OBIEE prefers to use driving table only with "cross-database joins ". Now the performance is fine! 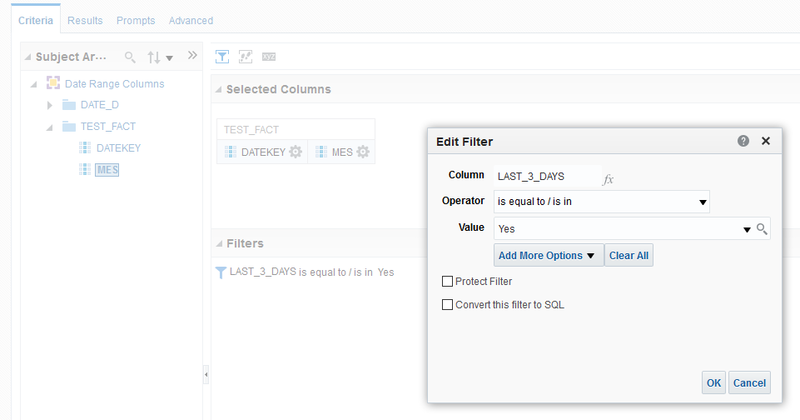 This is a nice option for performance and demands no ETL. 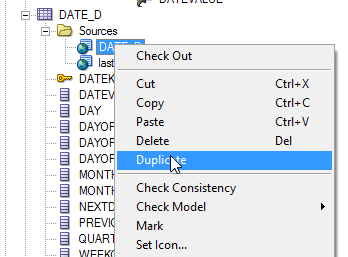 For each range I duplicate the date data source and add a column that is specific for this data source. 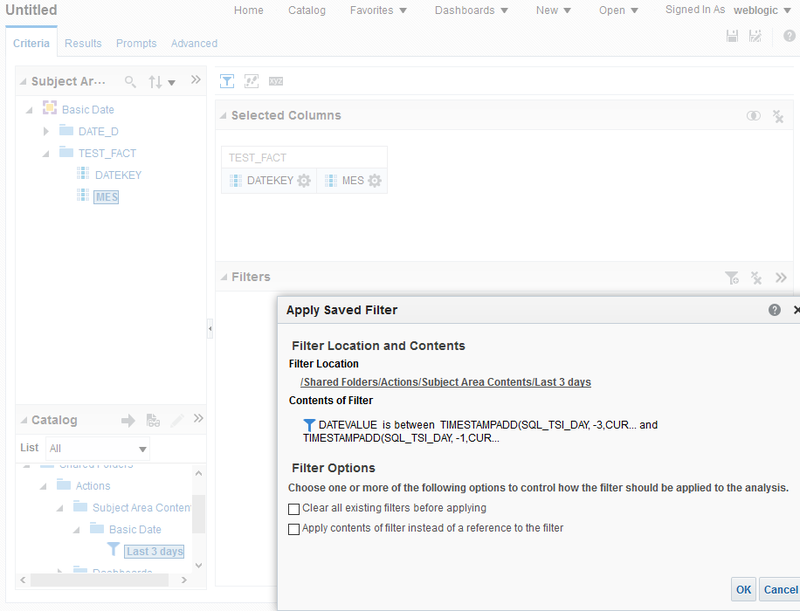 Selecting that column or filtering on it, enables the filter. 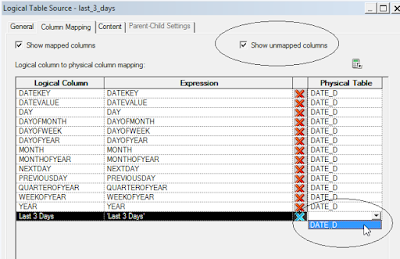 Set the column source to be from physical mapping from the "last 3 days" data source. It is critical that no other data source will be mapped to this column. 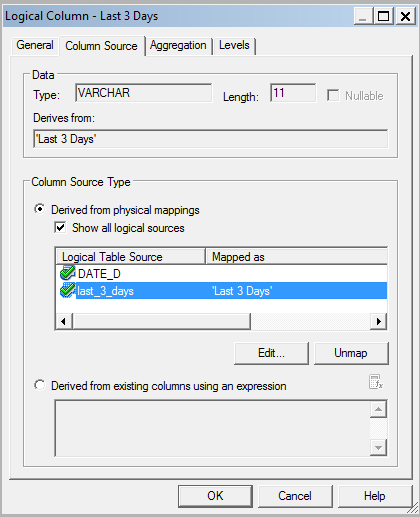 We don't need a Physical Table, I just write 'Last 3 Days' (or whatever I want) in the Expression. We do need to mark "Show unmapped columns". 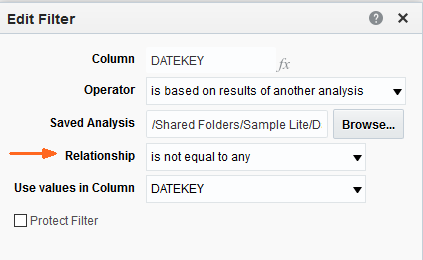 The order of data sources is important. We want the default date to be without constraints and place that data source first (by default OBIEE starts with the first data source and goes top down). 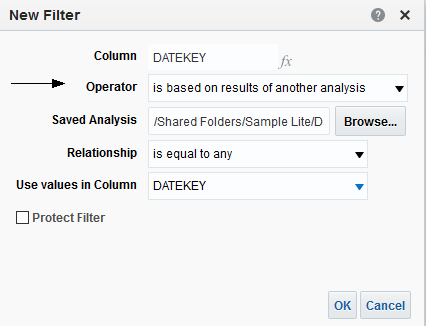 If you want extra caution, you can work with data source priority group as well. 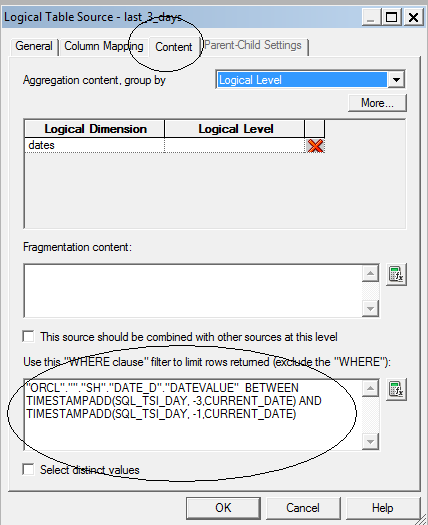 Oracle help: "To assign priority group numbers, rank your logical table sources in numeric order, with 0 being the highest-priority source. 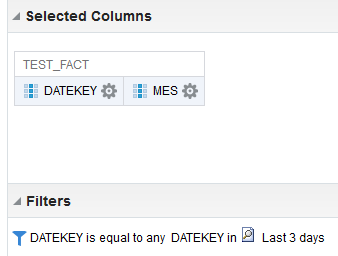 You can assign the same number to multiple sources. For example, you can have two logical table sources in priority group 0, two logical table sources in priority group 1, and so on. Often, only two priority groups are necessary (0 and 1)." 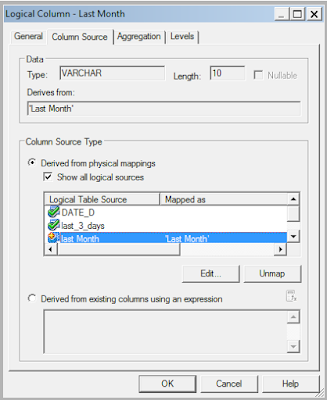 I map the column to physical source in "Last Month" data source only. 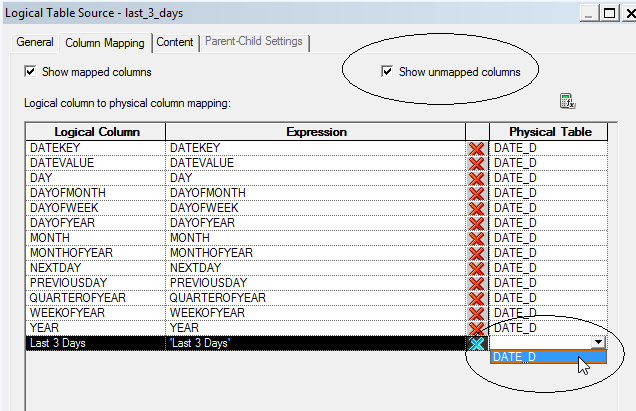 In a similar way you can see "Last 3 days" has no mapping in the "Last Month" data source. 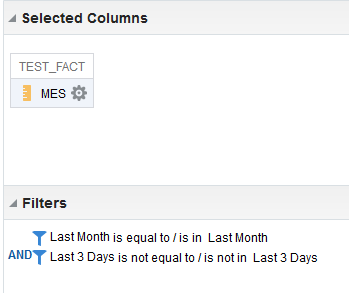 Adding the "Last 3 Days" column, activates the filtering. Same would happen if it's added hidden or used as filter. Attempt of reverse option wouldn't work. 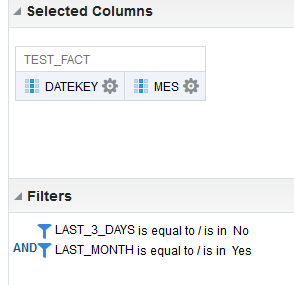 In this case when I attempt to add the filter "Last 3 Days is not equal / is not in Last 3 Days" it returns empty set as expected (once I use the "last 3 days" data set, the "Last 3 Days" column value is always 'Last 3 Days'). 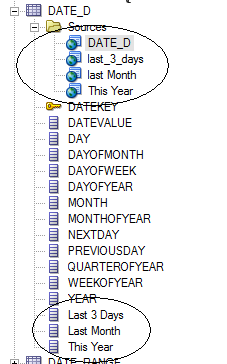 Requires RPD change for each additional date range? YES, but it's rather easy. The easiest option for IT is the first, "Reusing a filter". It's also the worst for the User. The best for the user seems to be the "Adding date range columns to date table" option, it's also the worst for IT. You can consider the other options as well. 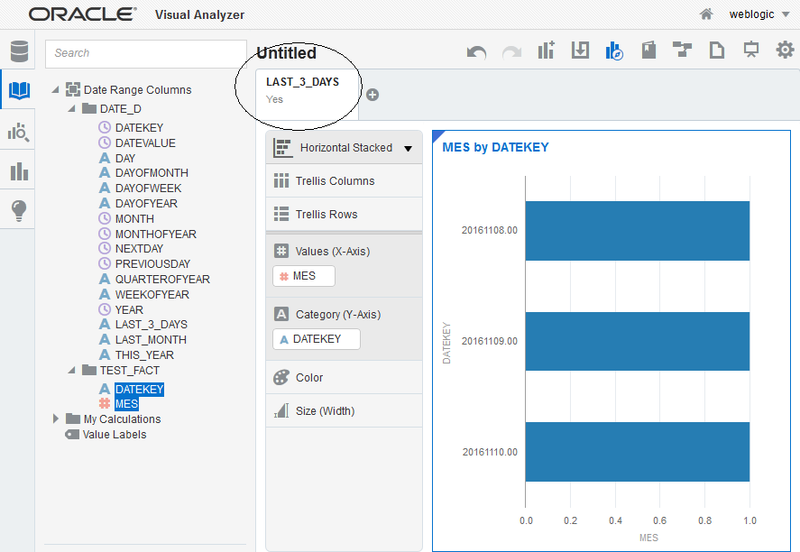 Thank You for your great information on Obiee online training. 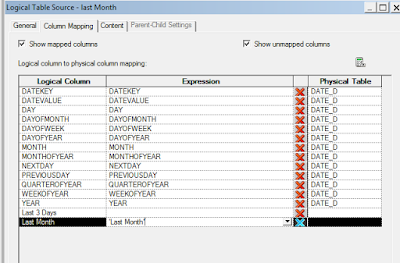 Hi, I try to do a column chart that would show a snapshot of open requisitions each month, for instance 10 reqs in sourcing status in Oct, 15 reqs in sourcing status in November, and so on. Could you kindly point to me what measure column i could use, or what formula would do it? Thank you in advance for your help.